One of my favorite snacks is roasted garbanzo beans. 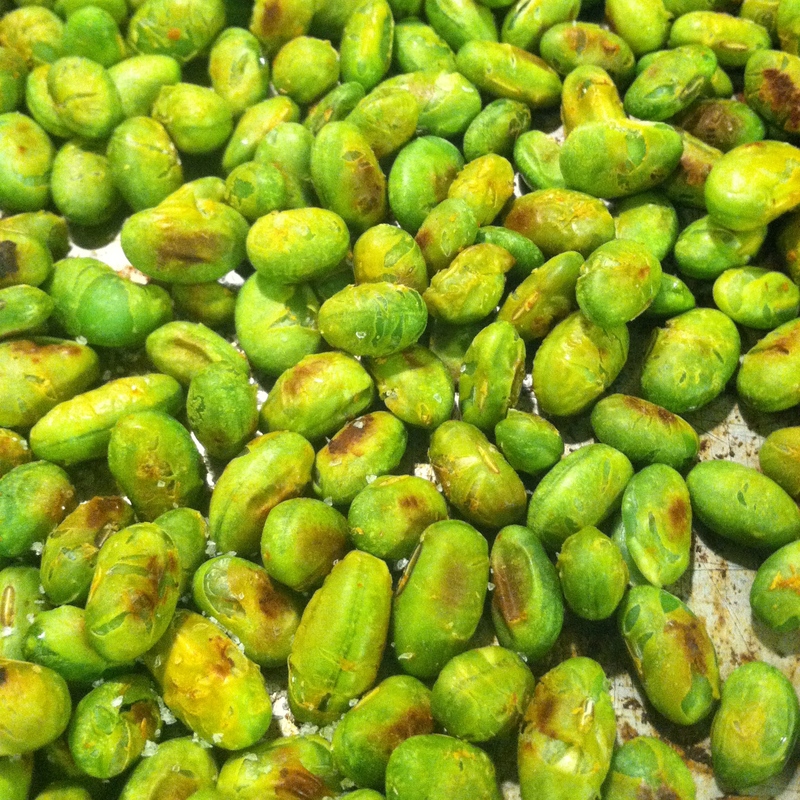 However, I wanted to switch it up so I came up with the idea to roast shelled edamame.You can season them however you perfer with garlic, soy sauce, or simply just sea salt. I love spicy foods so I added Siracha to them. Soybeans make a great snack because they have many nutrients and health benefits. They are full of antioxidants, and high in protein. Edamame has a low oil content with a high protein content, which makes them great for people who want a low-fat, high protein snack. Preheat the oven to 450. Completely thaw the edamame. Put thawed edamame into a large plastic bag with Siracha hot sauce, shake and mix around until evenly covered. Evenly spread edamame on a baking sheet and season with sea salt. Bake in the oven for about 20 minutes, rotating occasionally to avoid burning. You can change-up the spices in this recipe to whatever variation suites you.